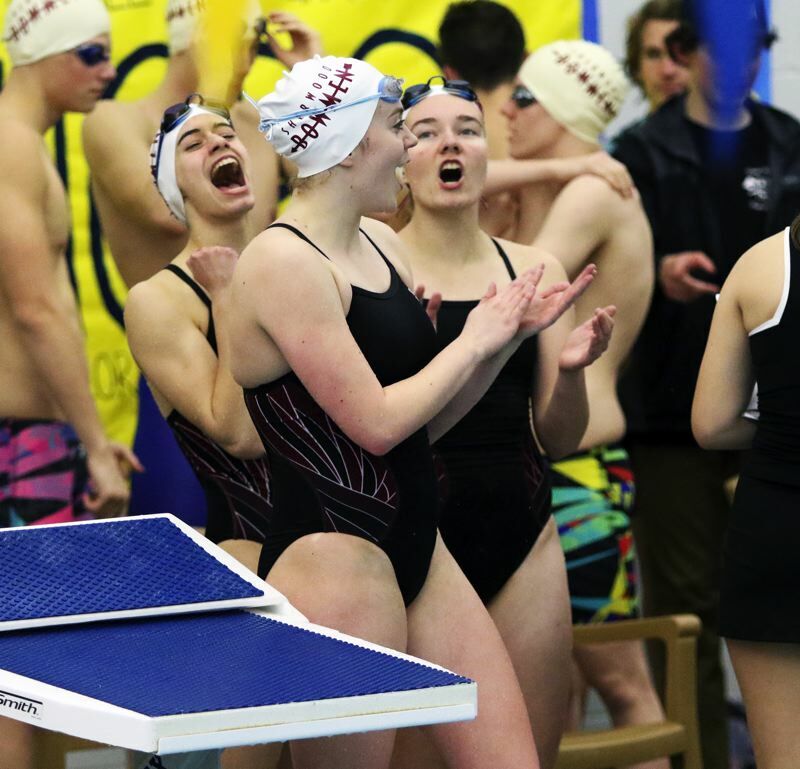 NEWBERG — In their final meet before the Pacific Conference district championships, the Sherwood High School boys and girls swim teams were likely looking to gain some momentum. Well, if that's the case, then mission accomplished. The Bowmen squads turned in what looked to be some strong performances when they faced Newberg in a Pacific Conference dual meet finale. 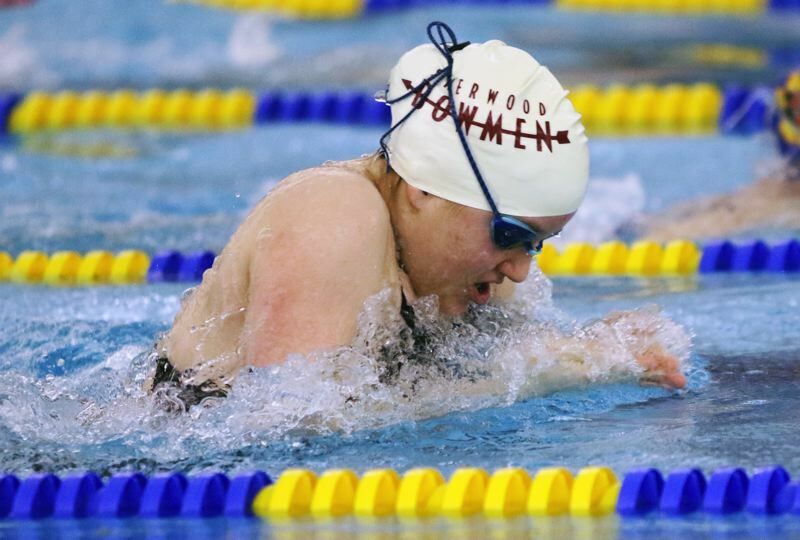 The Sherwood girls came away with a 104-66 win over Newberg, while the Sherwood boys were edged 90-80 by the Tigers in a conference meet held Tuesday at the Chehalem Aquatic and Fitness Center. 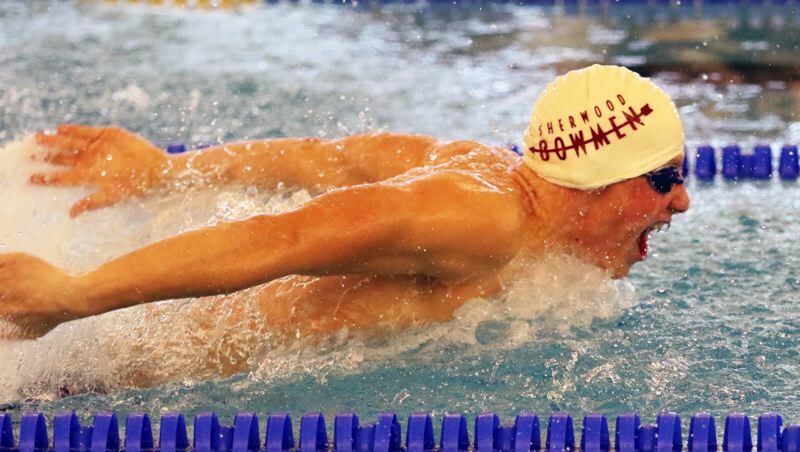 "I think we did really well," said Sherwood junior Jacob Folsom, who turned in an impressive swim in winning the boys 200-yard individual medley event. "I'm actually really proud of how all of my teammates performed. I think we're all really ready and really excited for district." With their win, the Sherwood girls finished the Pacific Conference dual meet season with a record of 4-2. The Newberg girls finished up at 3-3. The Sherwood boys finished the Pacific Conference dual meet season with a record of 4-2. Newberg ended up at 5-1 with its victory. 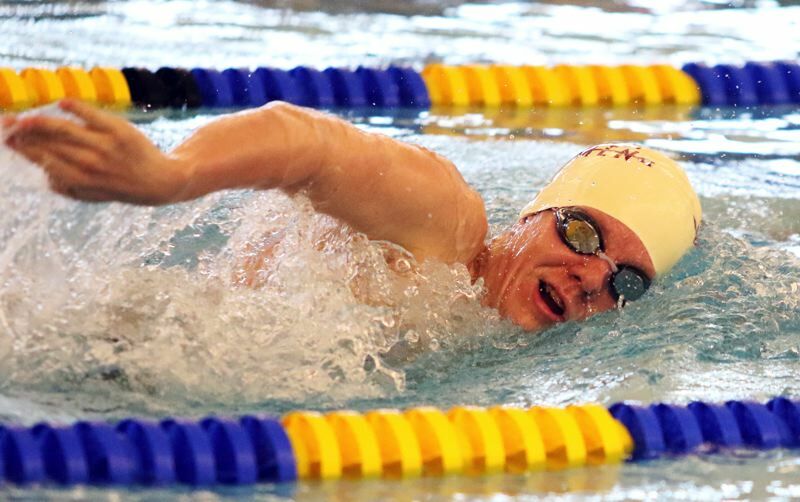 Folsom, who broke a 16-year school record in the 200 individual medley earlier this season, won that event in Tuesday's meet with a time of 2 minutes, 1.85 seconds — giving him the victory in that race by more than 18 seconds. "That was a lot of fun. I've been swimming the IM for most of the season. I just happen to be really good at that event," Folsom said with a smile. "I'm kind of new to swimming. I've only been swimming for about a year and a half." At the end of the race, Folsom smiled when he looked at his time on the scoreboard. "It was one second off my best time, which is one second off my record," he said. But he soon turned his attention back to the race, and, while still in the water, he cheered on his Bowmen teammates. "I feel like that's the most important thing about Sherwood. We all want to have a sense of team unification," Folsom said. "That helps a lot. When I was doing the IM, and I heard people yell 'go' at me when I was doing the breaststroke, I wanted to go even harder." Also for the Sherwood boys, senior Braeden Howard triumphed in the 200 freestyle in 1:58.03. Senior Sam Ettelstein had a winning time of 1:00.03 in the 100 backstroke. 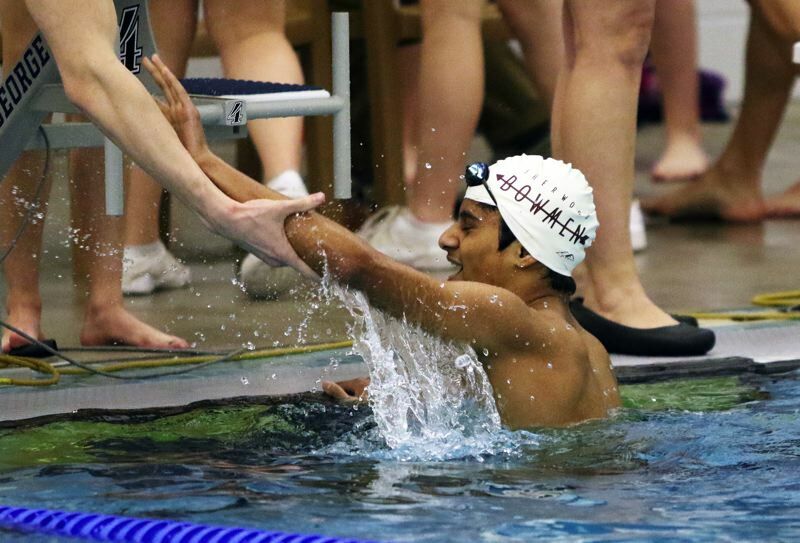 Bowmen sophomore Sandy Patil had a come-from-behind victory in the 100 breaststroke, winning that race in a time of 1:12.59, out-touching Newberg's Nathan Waldal, who was second at 1:12.66. For the Sherwood girls in their team victory, senior Emily Pannell had a pair of individual victories. Pannell triumphed in the 200 individual medley in 2:24.15, and she had a winning time of 5:41.20 in the 500 freestyle. Pannell also teamed with junior Grace Pessemier, senior Lizzy Cichoski and junior Hunter Stewart, who swam a blistering anchor leg, to win the 400 freestyle relay in 3:58.18. In the 200 medley relay, the Lady Bowmen team of Cichoski, sophomore Shelby Slenes, Stewart and Pessemier swam to victory in 2:00.63. Also for the Sherwood girls, Hunter had a winning mark of 2:10.02 in the 200 freestyle and Slenes took first place in the 100 breaststroke with a time of 1:15.39. "I just love all my teammates, and I'm really happy for how we performed today," Folsom said. 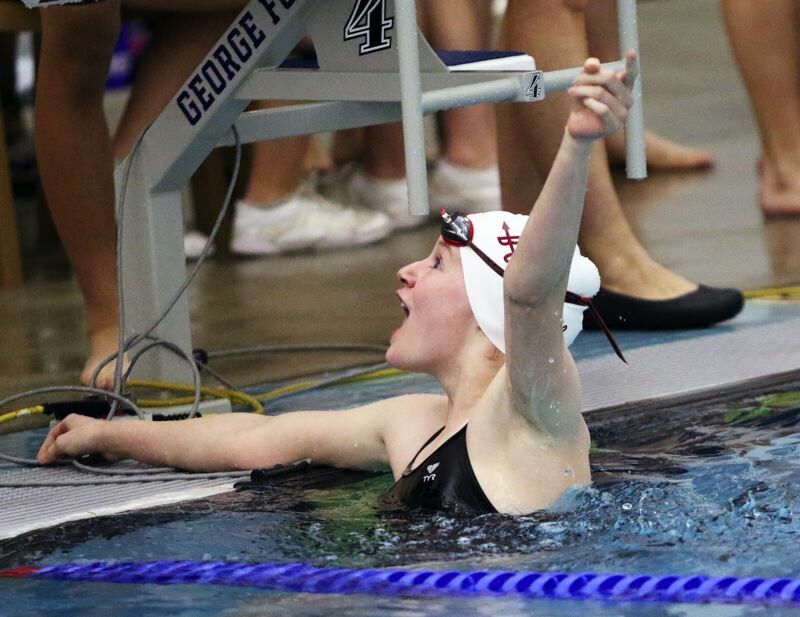 The Pacific Conference district championships will be held Feb. 8-9 at the McMinnville Aquatic Center.